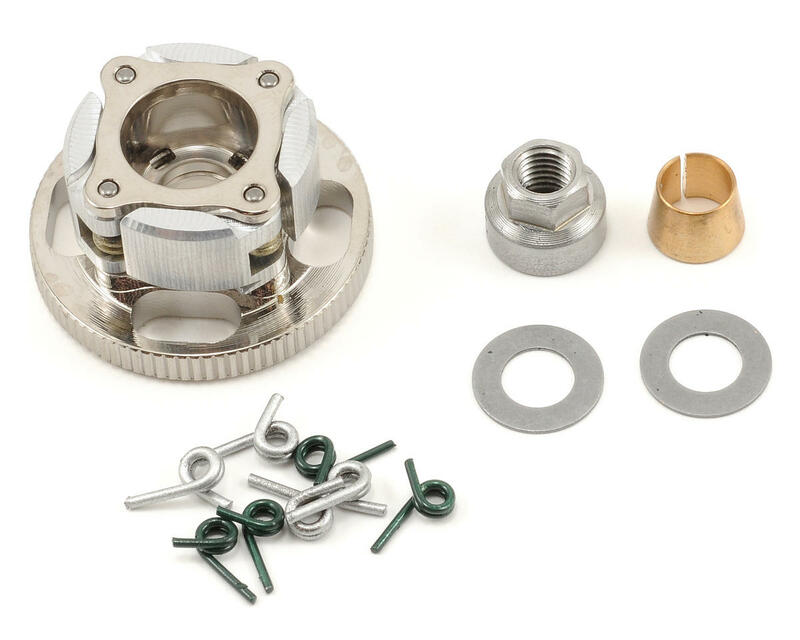 This is the Werks 34mm "Medium" Pro Clutch 4 Shoe Racing Clutch System. Clutch tuning is one of the most important aspects of 1/8 scale nitro racing. No one likes to disassemble their clutch to change the shoes or springs, but changing track conditions over the course of a race day make clutch tuning a skill that racers must develop to put themselves at the top of the podium. A system that simplifies this task is something that racers and bashers have been begging for. 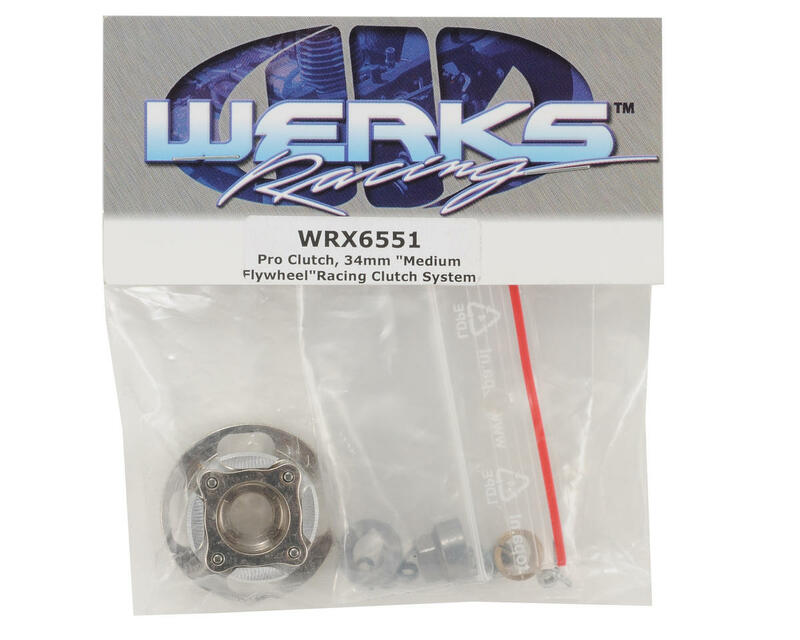 Werks Racing has once again stepped up to the plate to provide you with the tools you need to lead, with the “Pro Clutch”; a clutch system that not only offers the ultimate in simplicity, but also incredible lifespan and flexibility! if you run an engine with lots of bottom end do not use. this clutch runs so smooth and looks good! I have it on my MBX-6 with B6 motor & 2057pipe and i got one for my MBX6-T with the B5 motor & getting the 2058pipe for it soon thow. The only thing I had to do is put a ProTek R/C cluch bell on and it fit the mugen cluch bell didn't fit for me. Hands down my favorite clutch. Exceptionally easy to build/rebuild with excellent feel and wear characteristics. Great clutch. Run vented bells and try out the carbon shoes. A+ Werks. I love this clutch in my 8ight T 2.0. I run a B5 with a 2013. Had a B6 but the bottom end wasnt good enough. B5 and this clutch is a perfict combo!